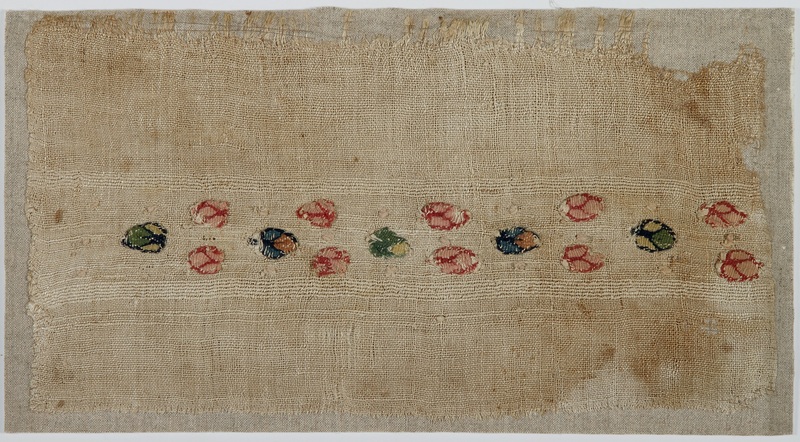 Scattered floral motifs sewn onto the cloth and decorated with knots. 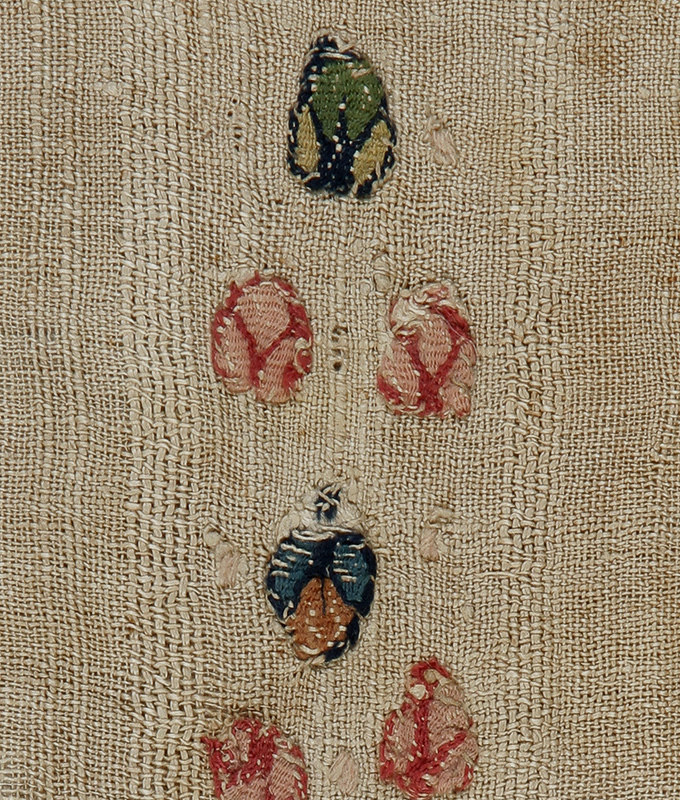 Piece probably intended as a shoulder decoration on the blouses women wore as undergarments, similar to those discovered in the necropolises of Antinoupolis. Cf. FT 168, FT 170. 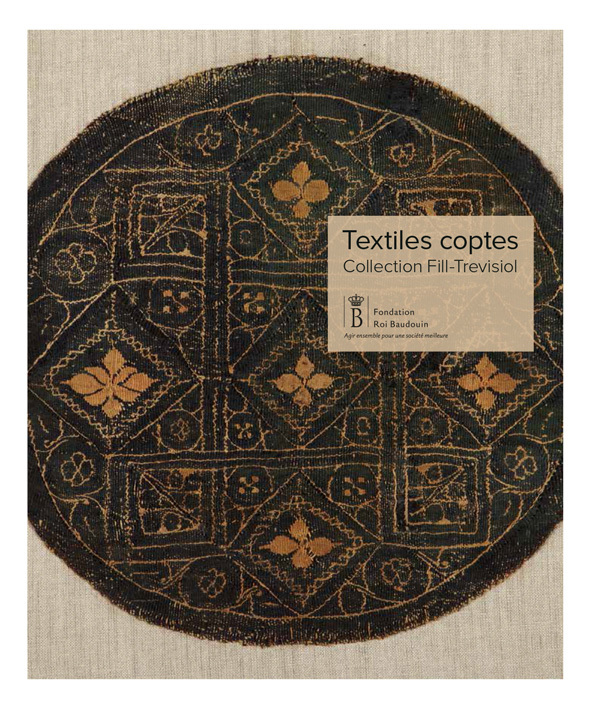 Musée des Tissus, Lyon inv. 24400.512. Allard Pierson Museum, inv. APM06081. Fondazione Antonio Ratti, inv. 72.